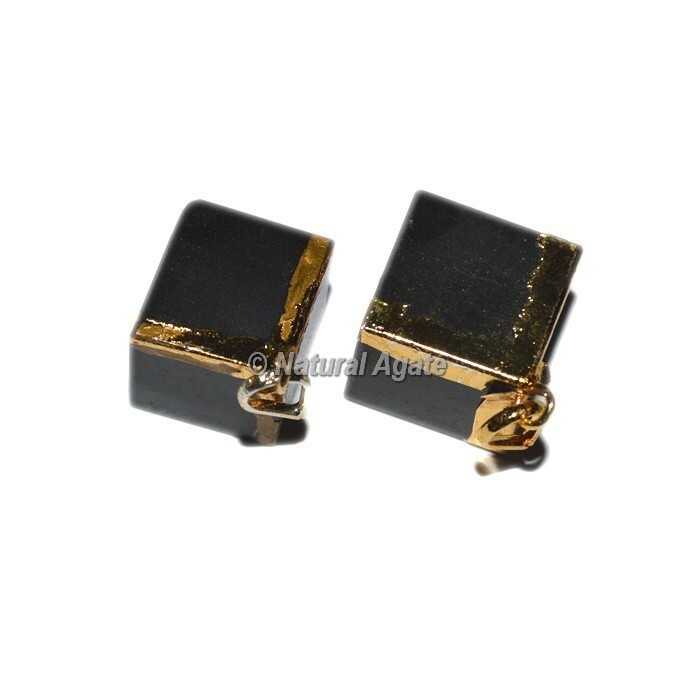 Exquisite Black Agate Cube Electro Pendants - This stunning pendant is made from black agate gemstone.Black Agate is a grounding and protective crystal. It gives a calming peace that helps those during a period of bereavement. Black Agate gives inner strength to move on and is also very helpful in keeping the peace in stressful households.